After the class played through their warm ups this morning they learnt the first position of the Dorian and Mixolydian Modes. 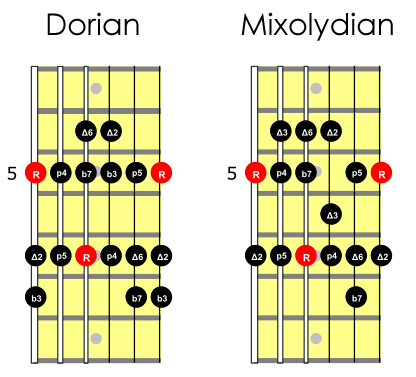 The class jammed along to Dorian and Mixolydian chord vamps. The class gathered into their performance groups for session #2 – see Day #4 post – and rehearsed their songs for this afternoons recording session. One group have put together a blues arrangement of ‘Summertime’ by Gershwin. The class gathered into their group and made final preparations for the student showcase performance. 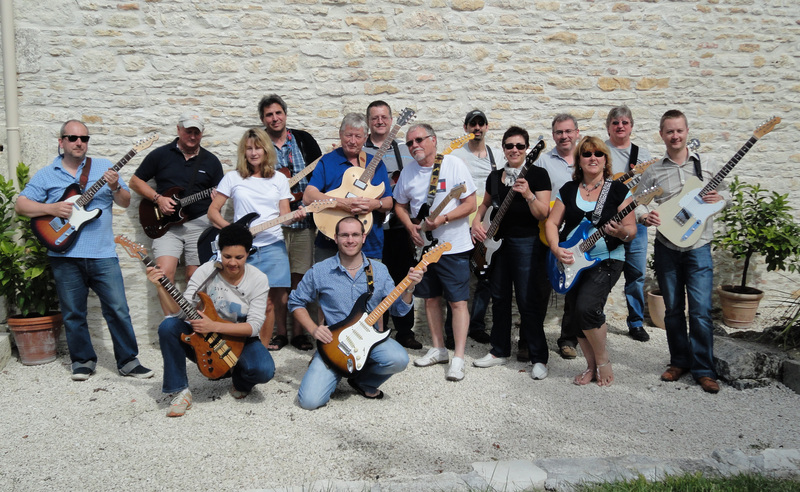 At 3pm everyone readied themselves for the show and the groups each took turns to perform their tunes. Richard Perkins is the founder of Bath Guitar School and has worked for the International Guitar Foundation, Brit Awards, Rockschool, B&NES Council, Mid Somerset Festival, Bath Music Plus, and appeared on BBC and ITV television and radio programming as well as being featured in Guitar Techniques, Total Guitar, Venue, Bath Life magazines and the Bath Chronicle newspaper. Richard is a graduate of the Commercial Music degree programme at Bath Spa University and has a HND in Popular Music from Oxford College. This entry was posted in Day #5 and tagged Bath Guitar School, BB King, Blues Guitar, Crossroads, Electric Guitar, Eric Clapton, Europe, France, Gary Moore, Guitar Holiday, Guitar Holiday in France, Guitar Lesson, Guitar Masterclass, Guitar Vacation, Guitar Workshop, I'm A Guitarist, Modern Blues Guitar Course, Music Holiday, Outside Woman Blues, Stuart Ryan, Texas Strut, The Thrill Is Gone. Bookmark the permalink.